The colour-matched adidas Boxing Set Blue Corner is an ideal training partner for leisure boxers. The set consists of a hard-wearing punch bag made of polyester tissue (mixture of cotton and parachute material) and appropriate boxing gloves made of PU3G synthetic leather. 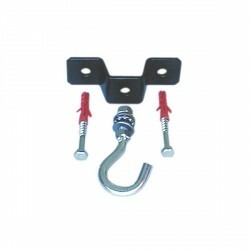 The punch bag is fixed on the ceiling with a 4-point-chain suspension. It is 80 cm long and measures 30 cm in diameter. The gloves have Climacool and I-Protech technology and offer maximum protection thanks to the reinforced foam insert. Everlast punching bag mount In stock! Everlast punching bag wall fixture In stock! Taurus ceiling fixation for punching bags In stock! 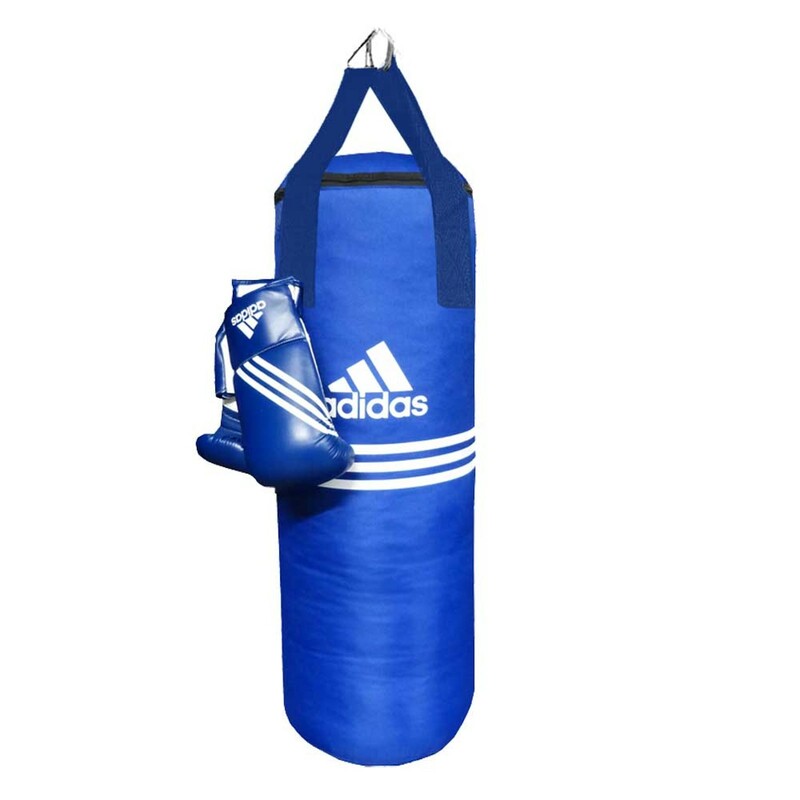 adidas Boxing Set Blue Corner add to comparison list.